There are so many ways to explore the breathtaking Hawaiian island of Kauai, but one of the very best ways is taking a kayak tour down the Wailua River. 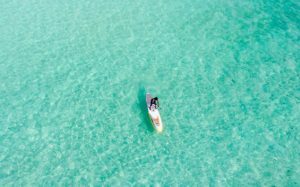 For centuries now, the kayak has been used in Hawaii as a primary form of transportation to get to some regions of the islands that would be out of reach otherwise. The island makes for a perfect location for kayak adventures. Visitors to Hawaii can also enjoy the kayak. It is not only a reliable form of transportation that allows you to explore the islands at a leisurely pace thoroughly, but it is very environmentally friendly as well. 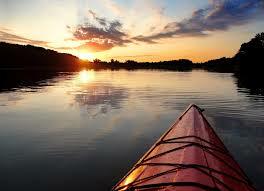 Enjoy kayak adventures Kauai has to offer and take in all of the breathing natural wonderment of this stunning island. Some reputable companies offer both kayak rentals and guided tours to enjoy the scenic island of Kauai. This gives you the flexibility to choose the type of kayaking experience that suits you and your fellow travelers the best. A guided tour does provide you with the opportunity to learn more about the historical and spiritual significance of the area from expert tour guides. If renting a is not what you are looking for then there are some great fishing kayak review sites that will help you find the best one for purchase. The kayak companies offer both single and double kayaks, paddles, life jackets, dry bag backpacks, coolers and racks for your vehicle. Some also provide lunch for your adventure. Be sure to wear comfortable clothes and water shoes such as Tevas sandals. Also, wear sunscreen and bring along bug repellent, sunglasses, hat and towels and of course a camera! Exploring the Wailua River on the gorgeous island of Kauai is an incredible adventure that offers you the chance to make memories that will last a lifetime. The Wailua River is Hawaii’s only navigable river. It is a very peaceful river that will take you on a winding journey through a beautiful tropical garden paradise full of an abundance of wildlife, flowers, ferns, and palms. You will have the chance to see Kamokila Village on your kayaking adventure, where parts of the movie “Outbreak” were made. This village also accurately depicts Hawaiian civilization that dates back to the 17th century. Past the North Fork, you can paddle to the trailhead that takes you to Secret Falls. There is also the chance to enjoy moderate hiking through Wailua rainforest, which is the original home of the early Hawaiian who paddled to Kauai from the Marquesas Islands in the southern Pacific Ocean nearly 1500 years ago. One of the most breathtaking highlights of your tour of Wailua River is to explore the awe-inspiring Uluwehi Waterfall, with its 125 descent into a natural pool that is surrounded by vegetation and rocks. If you are planning a visit to Hawaii, be sure to plan on a kayak adventure in Kauai while you are there. The peaceful Wailua river is one of the best ways to soak in all of the natural beauty and history of the beautiful island of Kauai at a very leisurely pace. Rent kayaks and go off on your own or take full advantage of a guided tour and expert knowledge of all the beauty and glory the area has to offer.